Predictive dialer is a complete contact Centre solution, offered by Aria, features manual dialing. All the outbound calls from selected user list are opened automatically and answered call with passing to the available service agents. We are offering predictive dialer in India that is based on latest technology, to help the Small or Big call Centres in verifying average time in use to get live answer and average length of every talk and based on the calculation. Aria Predictive dialers give complete solutions for increasing the productivity in contact Centres over manual dialing. It is of course a fundamental part of Aria, and gives advantages to the entire corporations and call Centres and minimizing time between answered calls. 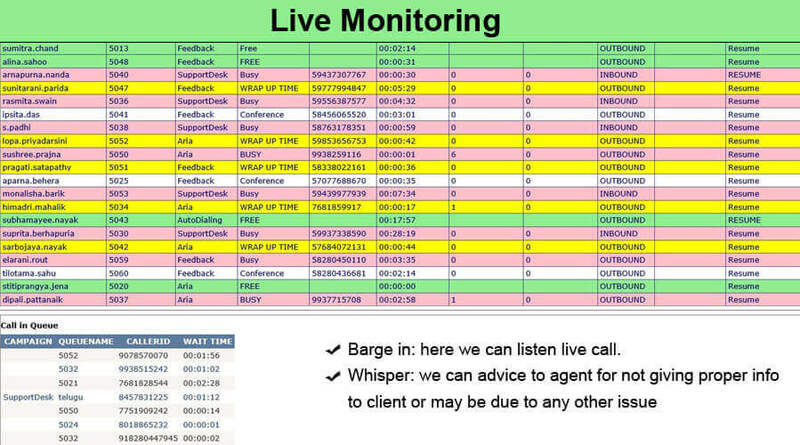 Set call back-Can set alarm for the follow up with customers, once you will set the callback, you will get a reminder on your screen at the same time. Caller call History-On live call, you can check the previous history of the particular customer. Auto Dialing-Option will be available to upload the number details into the admin panel. As agent will pick the phone, the number would start dialing and as per the actual call status agent would able to submit the call with dispositions. 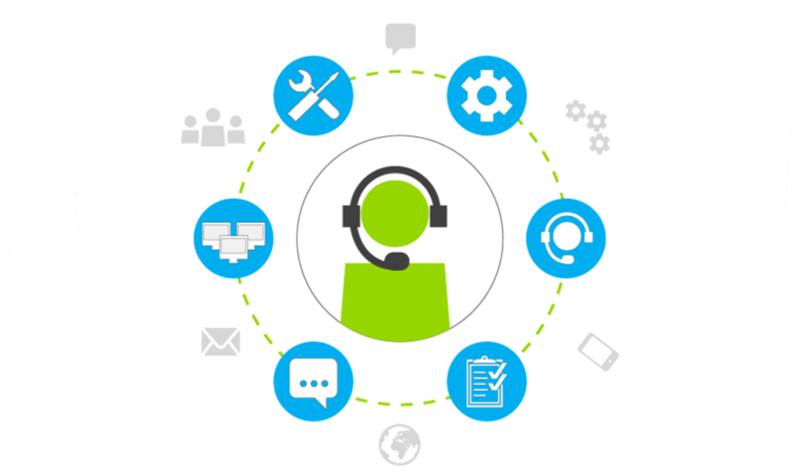 Call Centre Solutions gives the organization all the benefits that will help out in growth, keeping in mind all the aspects related to the communication process. Reporting Management: It has the ability to get all sort of possible reports that would not let any factor to hit the accuracy ratio of the organization. We can talk this in terms of agent reports , call reports , call history , recordings and lot more. Cost Effective Product: This package is an effective cost outcome for all the Centres who do not require to invest much amount in one go. It offers all the best possible functionalities irrespective of the cost. No Server Required: this is a stand alone device which requires no server with no complex configurations. It only requires a window PC to make the agents live. No Gsm Gateway: No cost is required to invest into GSM devices . It can directly be connected to the analog lines. Easy Installation: Installation of this smart device isn't a rocket science. It can easily be installed in a shorter time span. You only need to have a window based PC. Q:2 - Will all of my agents have to be on PC ? No, if works good without PC aslo. Your agents should be on analog phones. Q:3 - Will calls made by existing EPABX can be recorded ? Yes all the calls can be recorded. Q:4 - How many lines can i record by a single device ? You can record 2 lines by a single device. For multiple lines you may connect more than one device. Q:5 - How can I connect telephone lines with the System? Q:6 - Can I access the telephone recording list from network/internet? Yes, Telephone Recording Software is LAN compatible. You can access telephone recording list from network and also you can get it in the reports section of the admin panel. 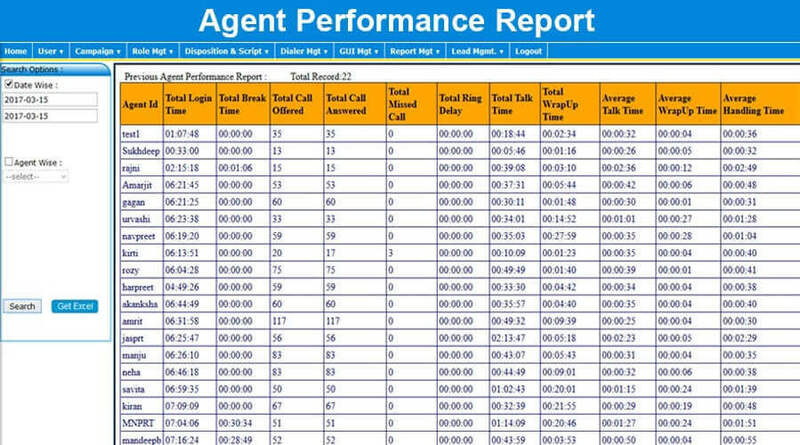 Q:7 - Can i be able to know the performance of my agents ? 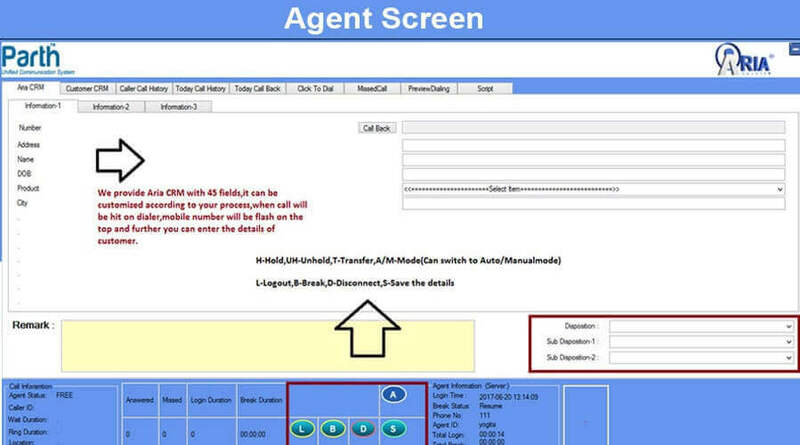 Yes , the admin panel has the functionality to get the reports of the agents. Q:8 - Can i connect my PRI or EPABX to get recorded by the device ? Yes, both the options are avialable. You can connect your existing EPABX trunk lines in parallel to the device and further give PRI into EPABX to record the lines. Q:9 - What if i do not want to invest in GSM gateway ? There is no need to invest in GSM gateway , you can purchase an FCT in place of it and connect AR5002 directly with FCT to get the lines recorded. Q:10 - What all trunk recordings options are available with your device ? You can record the lines of PRI , GSM FCT , VOIP , telephone lines with this device. Q:11 - Will my agents have to be connected to the device from PC ? 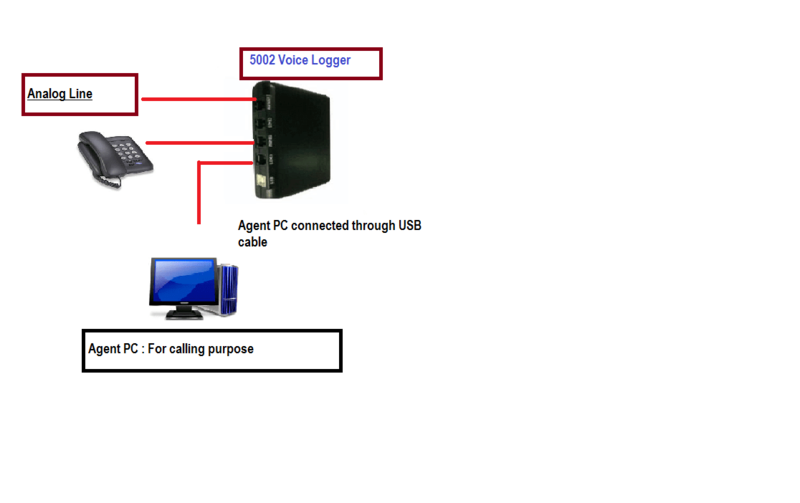 No , it is possible to get recorded without connecting to the PC , we have the functionality to login by getting an OTP. Agents telephone line is all required to get recorded.